Lego enthusiast Bre Burns has created a fully functional pinball machine made entirely out of Lego bricks. It’s called Benny’s Spaceship Adventure and it’s absolutely brilliant. The complex creation, which took between 200 and 300 hours to design, build and program, features no gluing, screwing or fabrication of any kind. That’s pretty incredible considering the build utilizes over 15,000 bricks. 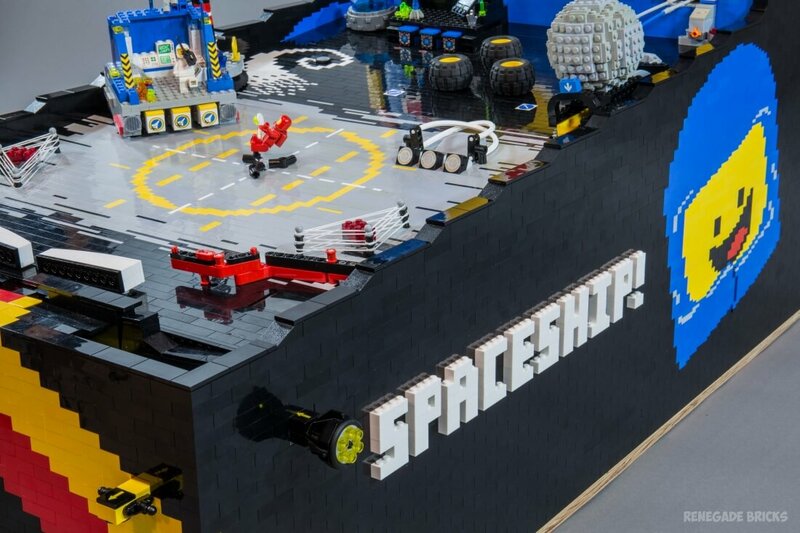 As Burns tells The Brothers Brick, the machine incorporates three Lego Mindstorms NXT “brain” bricks connected via Bluetooth which control nine NXT servo motors, seven touch sensors, two light sensors, two color sensors and a pair of ultrasonic sensors. There are also seven sets of Lego Power Functions lights and a whole host of other lights to help bring the retro look to life. Heck, even the balls and rubber bands used on the bumpers are Lego products.